Aphrodite Livanes Optometrist Alexandra Hills has received additional training to become a registered behavioural optometrist. 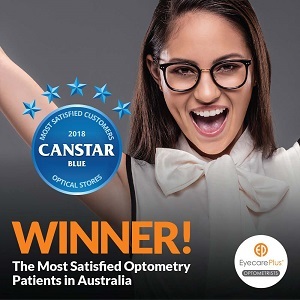 While the practice of optometry is primarily about measuring eyesight and checking eye health, behavioural optometry extends on this and takes a more holistic approach to vision. A behavioural optometrist understands that your vision does not depend solely on how clear your eyesight is, but also on how your eyes and brain interpret that information. Seeing a behavioural optometrist is particularly important for children’s vision, to help them prepare and adjust to the demands of school life. One in four children has vision problems that, without treatment, could affect their learning. Our behavioural optometrists work closely with your child, family and school, to get the best results (1). Babies from as young as 6 months can benefit from seeing a behavioural optometrist. If a problem is detected, a behavioural optometrist may prescribe spectacle lenses, optical aides, vision therapy and eye strengthening exercises – or a combination of these – as part of an overall strategy to improve vision. Because vision is learned, it is possible to re-train the brain to interpret that information more effectively, thus improving overall vision. At times a behavioural optometrist may refer you to another professional, such as an educational psychologist, occupational or speech therapist. Make an appointment for your child today with our behavioural optometrists. We are also proud to be the only accredited Colour Blind Sight Centre (TM) in Brisbane. At Aphrodite Livanes, all optometrists are behavioural optometrists.